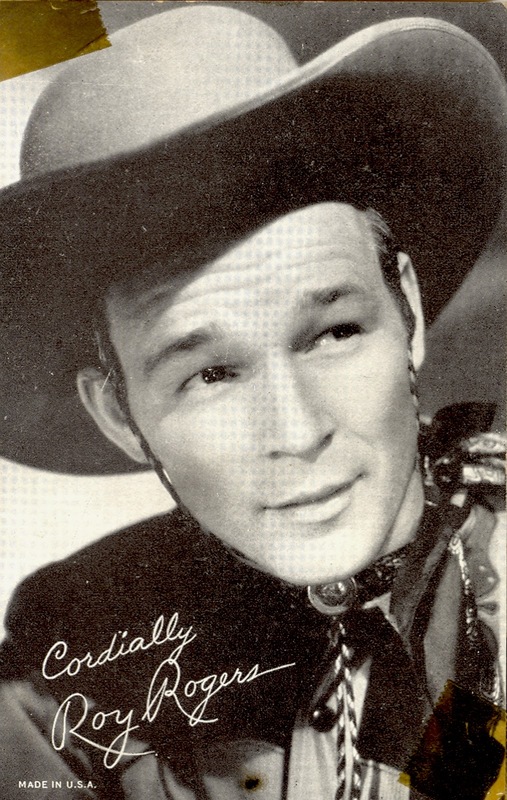 Just so that you old time cowboy movie enthusiasts don't feel slighted, here is a vintage postcard photograph of "The King of the Cowboys" Roy Rogers. Owning a genuine Roy Rogers' cap pistol was a major status symbol for school kids in the late 1940's and early 1950's. Roy and Dale had a small ranch just off of Topanga Canyon Boulevard between Canoga Park and Chatsworth. Do you remember the name of Roy's faithful dog? How about his horse, or his Jeep's name?